Firefighters across Luton and Dunstable walked out of stations on Tuesday for a one day strike over pensions. Fire Brigade Union members took part in the industrial action, which ended at 9am on Wednesday, to oppose government plans for pension reform. 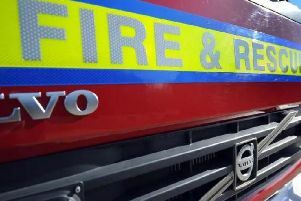 Beds Fire and Rescue ran a reduced service through the strike, though still had qualified firefighters on hand to respond to emergency calls. Across the county there were 16 incidents in which fire crews were required to attend, though none in Luton or Dunstable were serious. Matt Wrack, FBU general secretary, said: “Firefighters have been steadfast in this fight to stop their pensions from being decimated. “We are not going away. Fire minister Penny Mordaunt slammed the walkout.